Quilts are something special. Whether you have made them or received them, the time that is put into one never goes unnoticed or unappreciated. 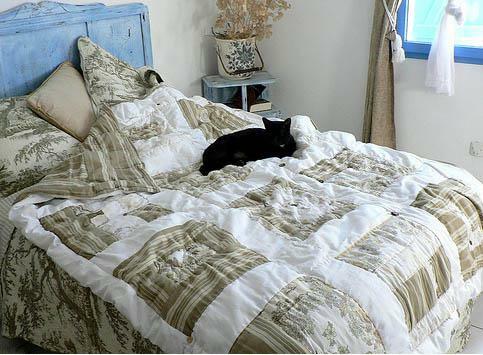 My quilt was made by my Aunt (my mom’s sister) and sadly it has completely faded from years of washing and general use. 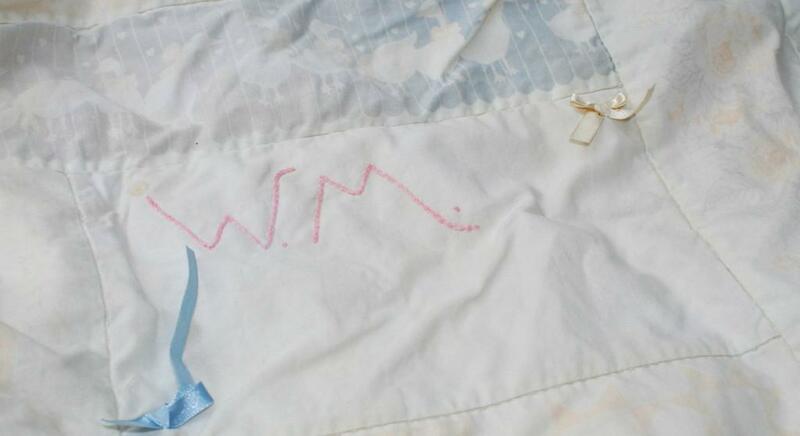 The only part recognizable is the embroidered ‘W.M’. Quilts can be used in so many different ways. I used to use it as a blanket, then I used it as a sofa throw and now its back to being a blanket (that is hidden in the closet most of the time). However, I love how Syrie (first below) and Laurraine (second below) have used theirs. 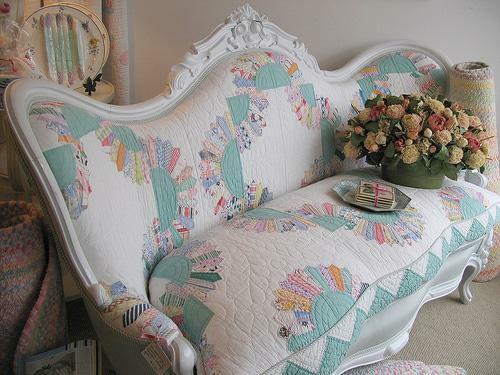 Syrie has upholstered a beautiful decorative lounging chair in a soft quilt and Laurraine has covered a tea pot in a mini quilt. …and this picture by Riana I had to include becuase it is so beautiful. The photograph is a quilt of interesting things that all come together into a beautiful composition. My favourite thing about quilts is that they hold love. If I wrap myself up with mine, no matter how old and faded it is, I feel wrapped in love. That is something that the sun or washing powder can never take away. 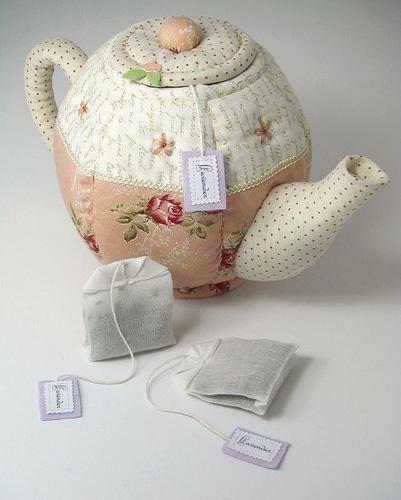 This entry was posted in Blog and tagged cover teapot, quilting pottery, Quilts, what makes quilts special?. 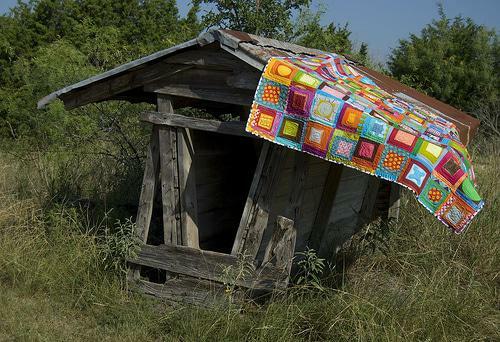 My favourite is the Quilt Shack by Malka Dubrawsky on the first photo.Great colourful!